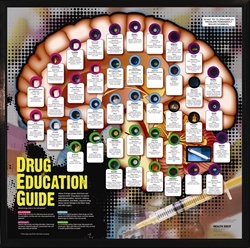 Ideal for educating parents and youth, this 3-D, Plexiglas-covered display identifies basic drug groups and gives the medical and slang names, medical uses, and possible effects of use for many common drugs. 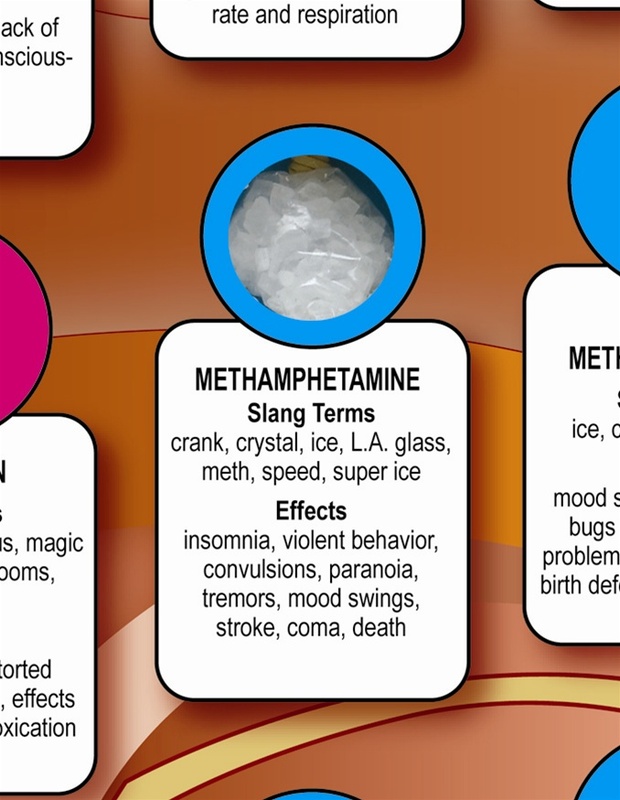 Features accurate, handpainted drug facsimiles. 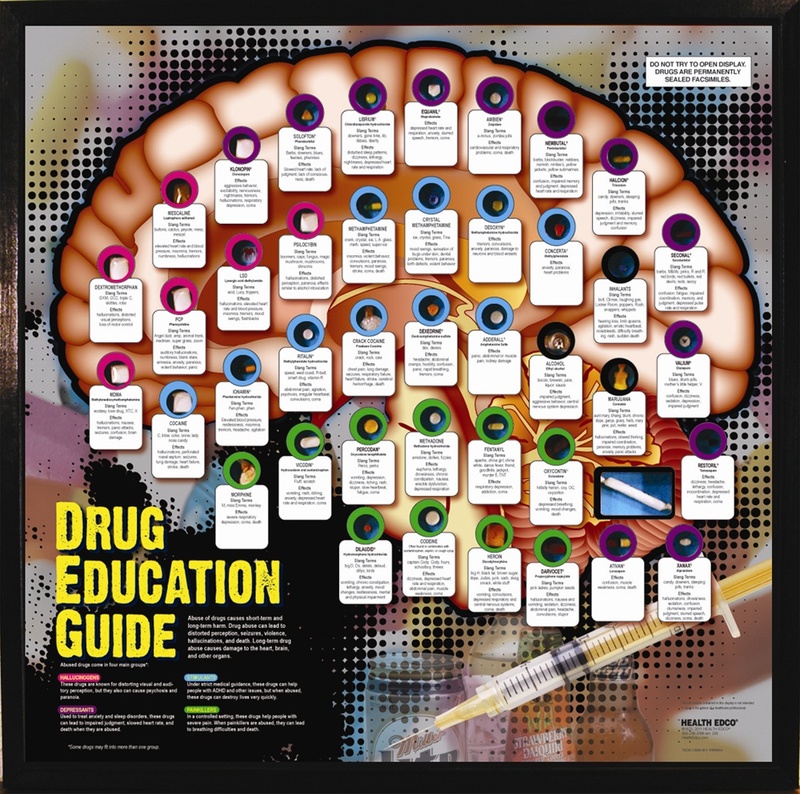 Comes with informative, reproducible handout. 24" x 24". Easel stand attached.